A spate of recent deaths in Florida one Tampa Bay neighborhood shook. A new video released by the Tampa Police Department did not help ease residents’ fears. Investigators released surveillance footage from the night of one of the murders. The video shows a person of interest walking in the area of where Benjamin Mitchell, 22, was shot. “We need somebody to tell us who that person is, or we need that person to come forward so we can eliminate them as a suspect,” Tampa Police Chief Brian Dugan said at a Friday press conference. 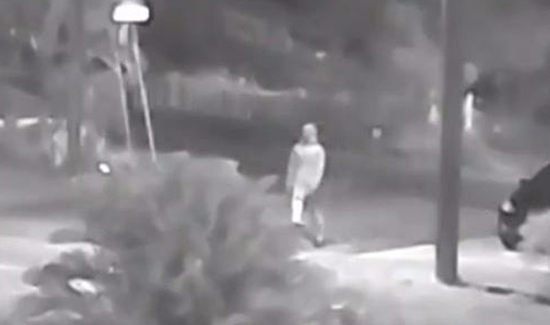 The new video, taken from different angles, shows the same person walking in the historic Seminole Heights neighborhood. The individual is walking casually while playing with what appears to be a phone. The first victim, Mitchell, was shot and killed in front of his home on Oct. 9. The second victim, Monica Hoffa, 32, was killed two days later. Her body was found in a vacant parking lot half about a mile from where Mitchell died. Then a third victim, Anthony Naiboa, 20, became the third victim after he accidentally got on the wrong bus and ended up in the southeast Tampa neighborhood, police said. The three victims were alone and found within about a half-mile of each other, Dugan said. An assistant professor at the University of South Florida who recently worked with the FBI believes the suspect in this case is a serial killer, WFLA reported.